It’s hard to believe it’s already Thanksgiving! Where did 2013 go? - While we are stuffing our faces with turkey and pumpkin pie, we need to remember to sit back, look around and reflect on the things we are most grateful for. In today’s post we want to take the time to show our gratitude for the things we are most thankful for as inbound marketers. But first, in the spirit of Thanksgiving, we want to say thank you for being apart of the New Breed community and continuing to engage with us. New Breed is very fortunate (AND THANKFUL) to be immersed in a community that is eager to connect with each other and have fun doing it! What would our team of inbound marketers be without the joy of learning from our fellow inbound marketers, sharing tips so we can all improve and perhaps finding a prospect while doing it? With events like our very own “Integrating Social throughout Your Content Strategy," we were able share a night of networking, interactive learning, discussion and refreshments! This special event gave our attendees insight into inbound marketing, content strategy and proper social media usage. At New Breed we are socials, we love to share our words-of-wisdom, especially when it comes to inbound! And as 2014 approaches, we can’t wait to host new events and to get even more involved with the inbound community! HubSpot provides many great tools to assist savvy inbound marketers reach their goals. In August of this year, HubSpot launched their Content Optimization System (COS), which allows you to customize and personalize your content better than ever before (and really, better than any other CMS out there). The best part is there is no catch! The COS will help you to clearly define your buyer personas, create and alter a template that works best for you based on your skill level and style, create high-quality content based on the inbound funnel and effectively use all content opportunities. Our HubSpot COS website package is designed to increase sales opportunities for our clients. This platform assists us with website transformation and efficient marketing tactics. What’s not to be thankful for? In the spirit of Thanksgiving, how many times have you snuck into the kitchen to steal a bite of pumpkin pie or sweet potatoes before they hit the table? – Guilty, us too. Think of this same scenario but in terms of your website and brand. You want to create something so ‘delicious’ and ‘irresistible’ that people can’t wait to see what your offering. Not only do they like what they see but they keep returning for more. Consider this when you’re designing your web page or creating your content. Be creative, educational and appealing! This holiday season we are grateful for the creativity that goes into a website, content or brand – something so good you can’t help but want seconds – or thirds. Content comes in all different shapes and sizes – From whitepapers to eBooks to blog posts, we at New Breed are content-addicts. Content is a very valuable step to take during the convert stage of the inbound marketing funnel. Once you have quality traffic coming to your site (which is done through the attract phase) you will want to convert them into leads. Offer your traffic free content that is aligned with their interests! At New Breed we are producing new content everyday – on our business blog, for clients and more. At New Breed we don’t pretend to be anything we aren’t – Sure, we have a strong background in inbound marketing, sales, design, development and content creation. But even the best-in-the-business still has lot to learn about industry. Marketing is an ever-evolving market – we need to stay up on our inbound game and ahead of the competition by staying up to date. This is done through inbound marketing classes – like the HubSpot Academy Inbound Marketing Certification course. We also research all of our topics before we hit the keyboard – since you never know what new platform just launched or what new trend is coming to the surface, we want to ensure we get the facts straight before we deliver the content. On this day of appreciation and thankfulness we would like to pay it forward by offering variety in our content. Since there is always new content and information to learn, deliver the wow-factor by presenting it to your readers in a way that is fun and educational. You want them to feel like they are getting a world-class experience that they can’t find anywhere else. We said let’s engage, not let’s get engaged – Sorry inbound marketer! But we hear the holidays are a popular time for proposals so this could be your year! In more serious context, what’s great content without great conversation? 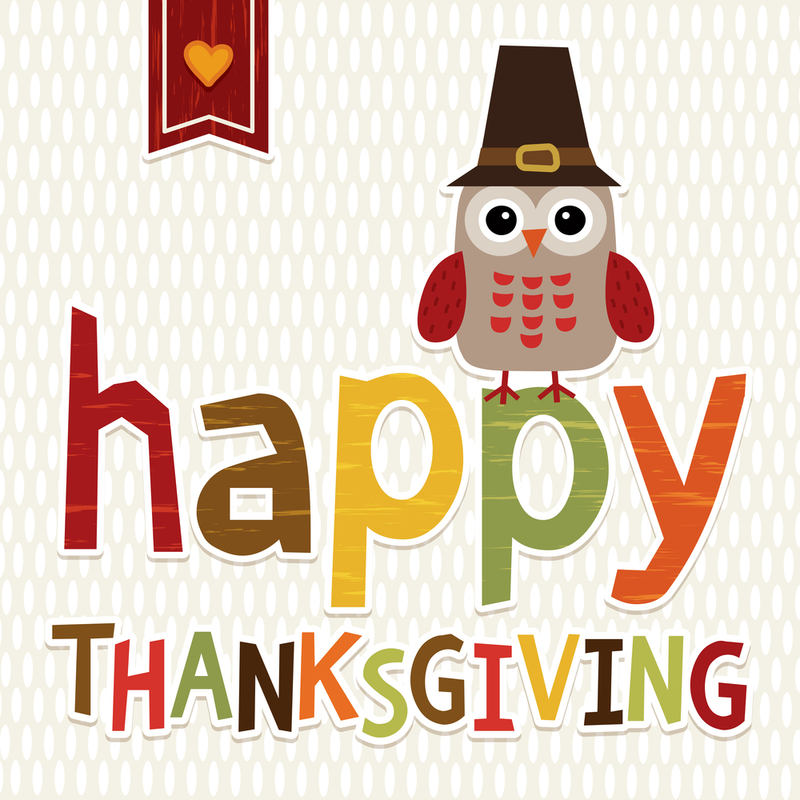 Today we are extremely thankful for all of our customers, friends and visitors that engage with us on a regular basis. Show your gratitude for those who stay engaged with your business blog and social networks by responding to comments, asking questions in your posts and voicing your appreciation. Everyone enjoys a good conversation at some point or another so go ahead and start engaging! Facebook, Twitter, LinkedIn, Instagram, Foursquare … You name it, we are probably on it. At New Breed we have selected a few popular social networks to hop on to promote our name and spread our knowledge. Social media is a great support system for us Inbound Marketers – It’s also a great way to promote your content because 1) it’s free, 2) your content has the potential to reach a large amount of people and 3) many social networks are indexed by search engines. – With all of these reasons how could we not be thankful?! We honor the “live in the moment” mentality, but at New Breed we always want to stay ahead of the competition and that means thinking one step ahead! With Black Friday on the horizon we have to tip our hats to Foursquare’s #blackfriday survival guide. With Foursquare you can find specials across the country by tapping the ‘Explore’ tab and then hitting the ‘Specials’ button to find all of deals in your area. You can find special tips from other users like where the best parking spots are or where you can find that hot holiday item. Borrow a similar strategy from Foursquare when you are hosting your next event or content promotion. Use a special hashtag (remember, #blackfriday) and then offer special content offers or deals (similar to the ‘Explore’ and ‘Special’ buttons). Using an idea like this entertains your audience and keeps them coming back for more. Every Thanksgiving everyone gets so full that they couldn’t possibly consider eating dessert, right? – Well, unfortunately that’s not the case. Everyone always has room for a little dessert, especially on Thanksgiving! Think of this in terms of your leads. You spent quality time getting visitors to your site and begin engaging (kind of like prepping for a Thanksgiving meal) but they may not be ready to make a purchase just yet. This is where you come in with the dessert – I mean lead nurturing. Provide them with free information that will influence them in natural way. It’s important that you guide your leads all the way through their purchase process so you are there to answer any questions they may have along the way. On Thanksgiving we give a special thanks to all of our leads. Happy Thanksgiving Everyone! - & a very happy start to the Holiday season!